First, Happy Valentine’s Day, sweet friends! I hope that your day is filled to the brim with lots of love and happiness! AND I hope you have plans to celebrate! We, do not! What are your big plans for Valentine’s Day? I would love to hear! Im hoping we can sneak a little date night in this weekend, but Im guessing by now most of our favorite restaurants are full of reservations! I may need to sit down and figure that out today! Which brings me to my next question… who plans your date nights? I’m normally the planner. We always talk about what we want to do or where we want to go together, but when it comes to reservations and babysitters, its all me (which Im totally fine with because I am the “I have to know what is happening-do not keep surprises from me- type of planner!). Im just curious to know who plans your date nights? 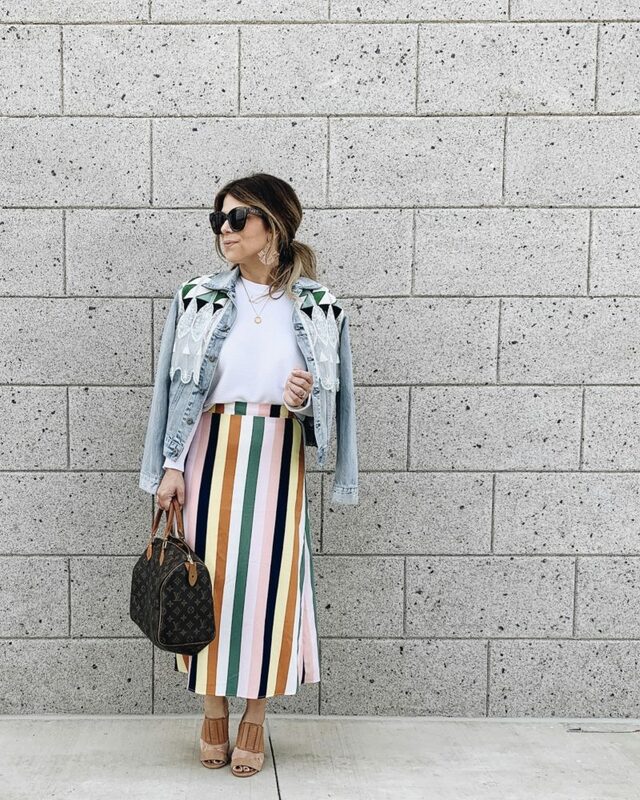 Ok, moving on to why were here… it’s another edition of our How To Style Series! (If you missed the latest one, you can find it here.) Now that the Shoplindsey x Beau & Arrow collection is here I can finally share this outfit with you! The Sydney Skirt is one of my favorites from the collection. It is a gorgeous taupe color and is lined with jersey to make it so soft and comfortable! You all know I love versatile pieces and while this one may not strike you as being versatile, I promise it totally is! 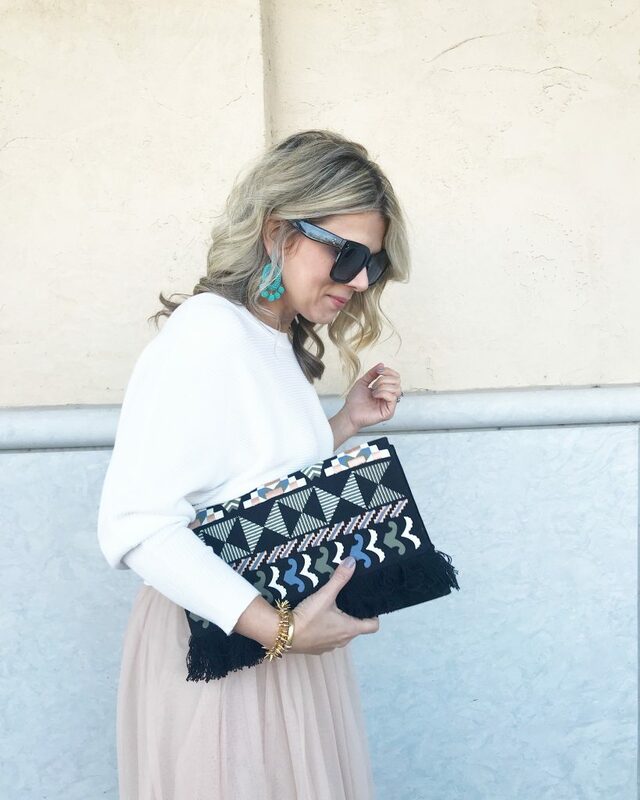 I love it dressed up with a lightweight sweater and heels just as much as I love it with a chambray shirt and sneakers! 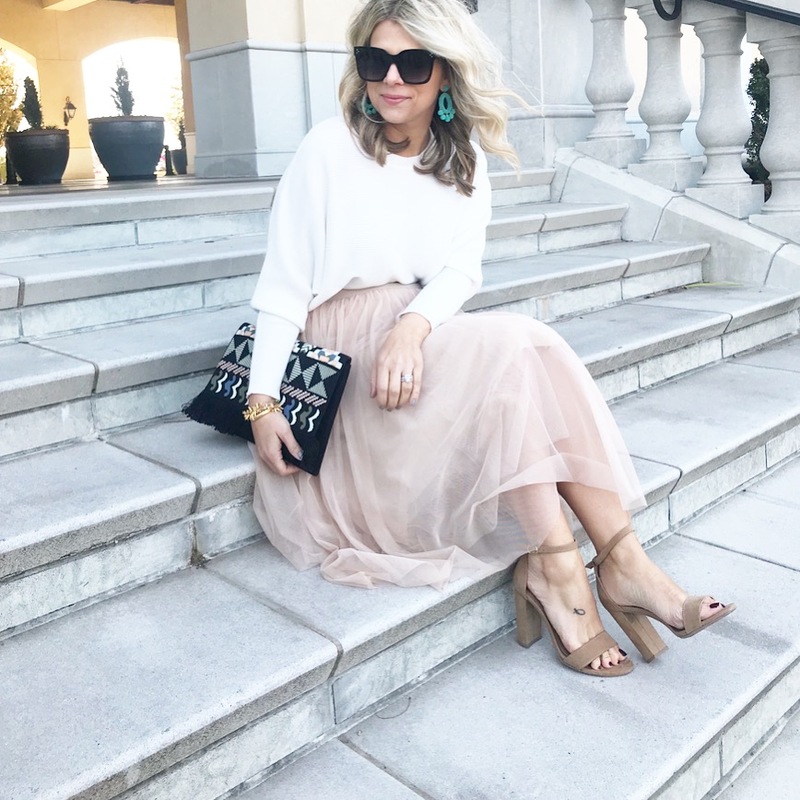 For the warmer months, think about pairing this tulle skirt with a graphic tee, oversized denim jacket and wedges for an effortlessly cool vibe. 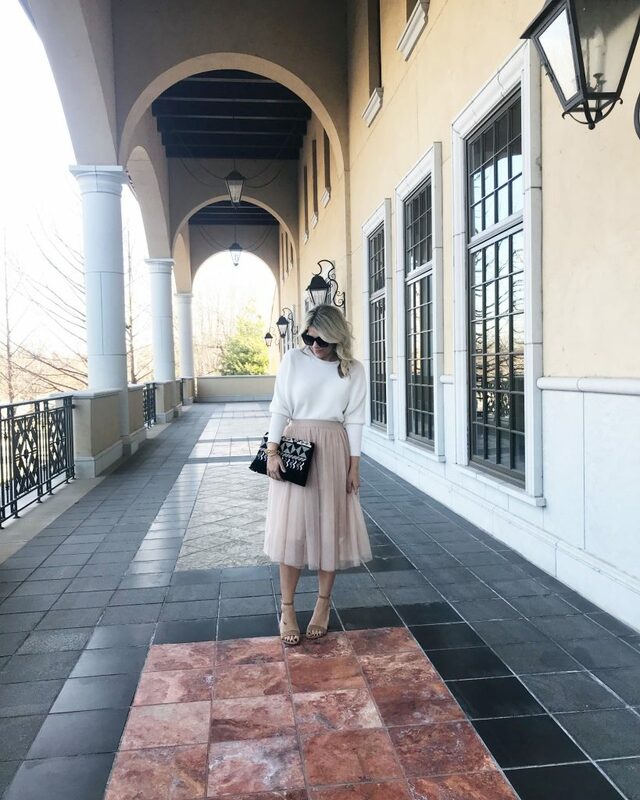 Do you have a Tulle Skirt yet? I would love to hear your favorite way to style it too!